The fourth of July is my second favorite holiday. (Christmas wins every time). But I love the Fourth for so many reasons. It's the picture of what America wishes it was -- family all around, small town parades, apple pie, potato salad, fried chicken, all generations together, and a grand display of flash and bang and beauty. hands, while standing outside on the deck in a dripping swimsuit. 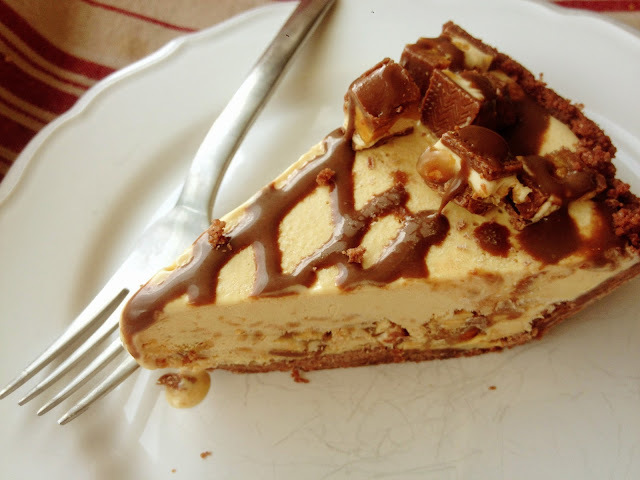 Snickers Ice Cream Pie is perfect for the Fourth of July. It's cold, so perfect for cooling down. It's not fussy at all, no finicky mousse or ganache or reduction of anything. This is not "elevated", as they say on the cooking shows. It's a simple, delicious blend of flavors that the Snickers folks perfected: peanuts, chocolate and caramel. And it'll hit the spot after a three-legged race or a volleyball game. 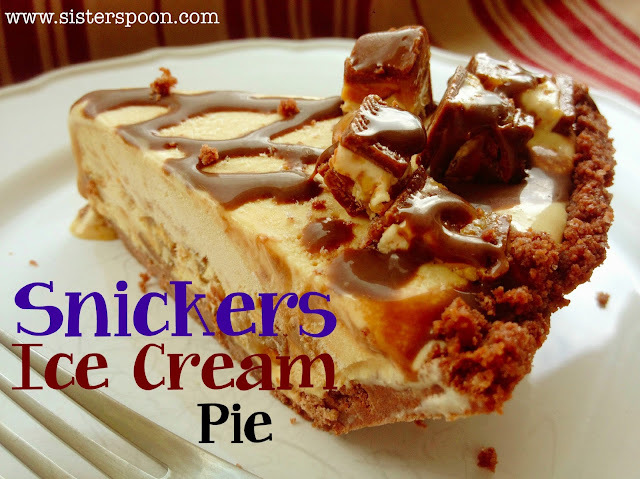 It's not hard to make, just a crust and some softened ice cream with some goodies mixed in and sprinkled on top. Make it, pop it in the freezer, and enjoy the day. No fuss required. Okay, before we start, take your ice cream out of the freezer to get nice and soft. Now we make the crust. So blend/crush some chocolate cookies until you get fine crumbs. A food processor is awesome for this, but you can always use the old ziploc-and-rolling-pin method. Either way, just get the crumbs nice and fine and even. Dump them into a pie pan. 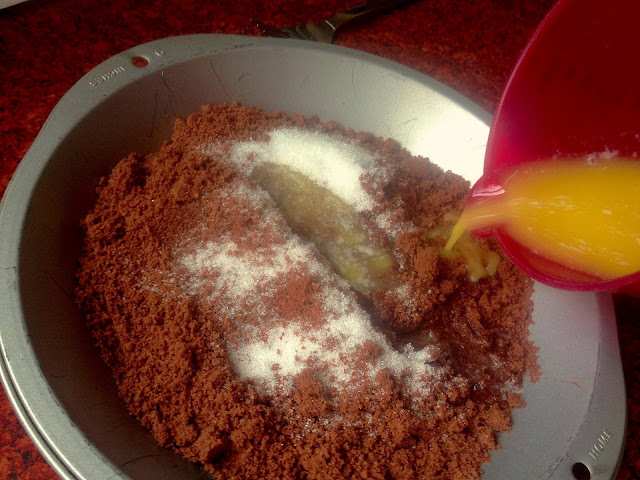 Now throw a couple of dashes of sugar in with the crumbs, and pour in your melted butter. Take a fork and mix it all up good. Pay attention to the edges, and make sure you don't have any dry spots. 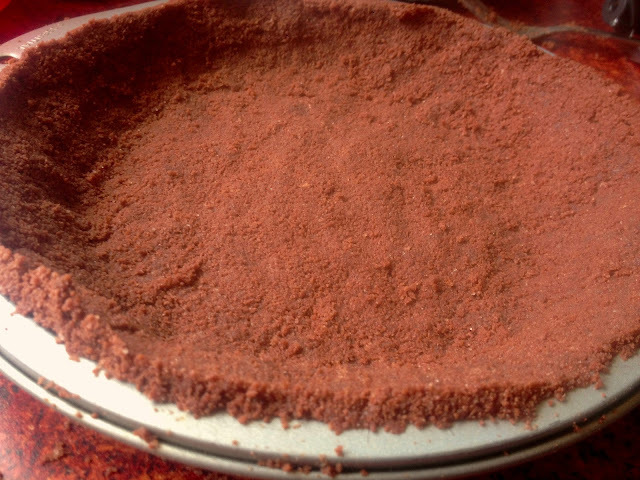 Now use your fingers to press the crumb mixture into the pan. It doesn't have to be super pretty. This is not fancy food. It's yummy food. 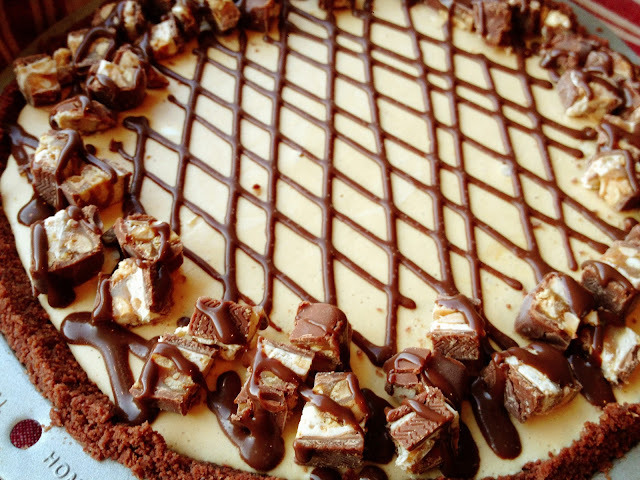 Obviously for a Snickers Ice Cream Pie, you'll need some Snickers. 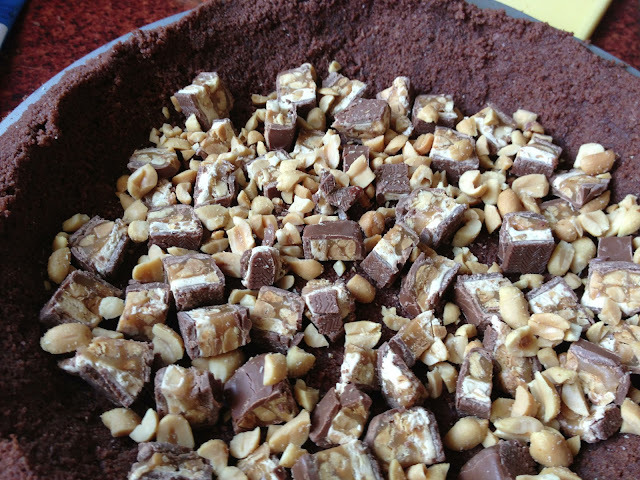 You're gonna use 4 Snickers bars total -- 2 in the pie, 2 on top. These are the smaller size (55grams). You know, the size that was normal when I was a kid. Do they even still sell them this small in America? 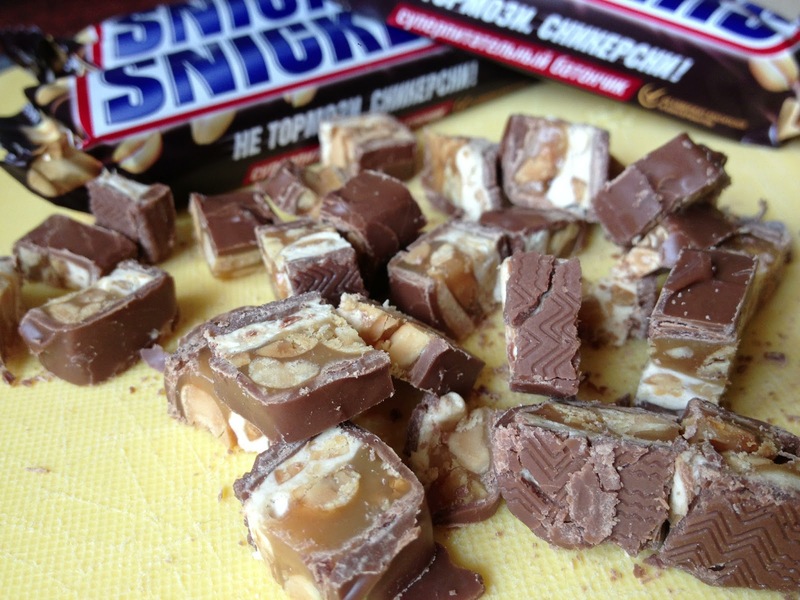 Fun fact: the slogan in Ukraine for Snickers is: "Ne tormozi, Snikersni!" (you can kinda see it in the background on the Snickers wrapper). Which means, roughly, "don't brake (slow down), partake of a Snickers!" They made up a new verb that means "to partake of a Snickers". Coke did the same thing. 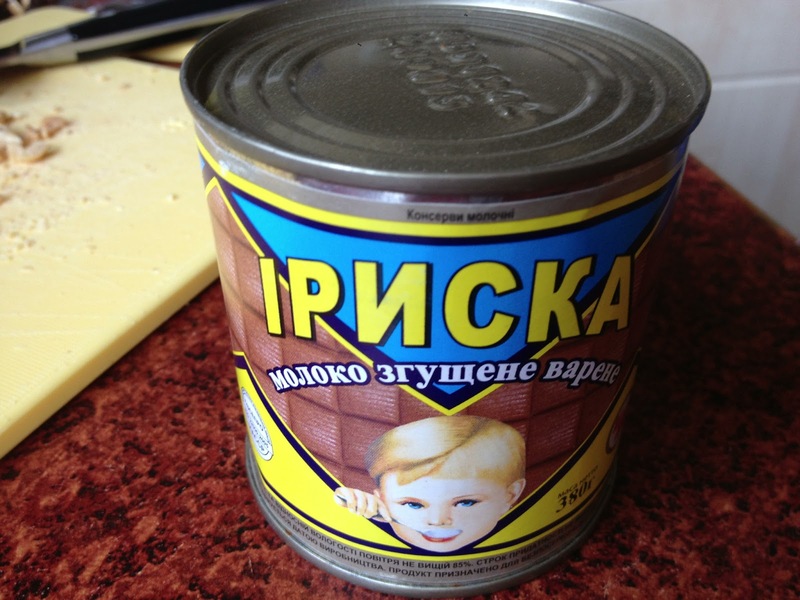 (Prikokakoltyes). How's that for an awesome language? 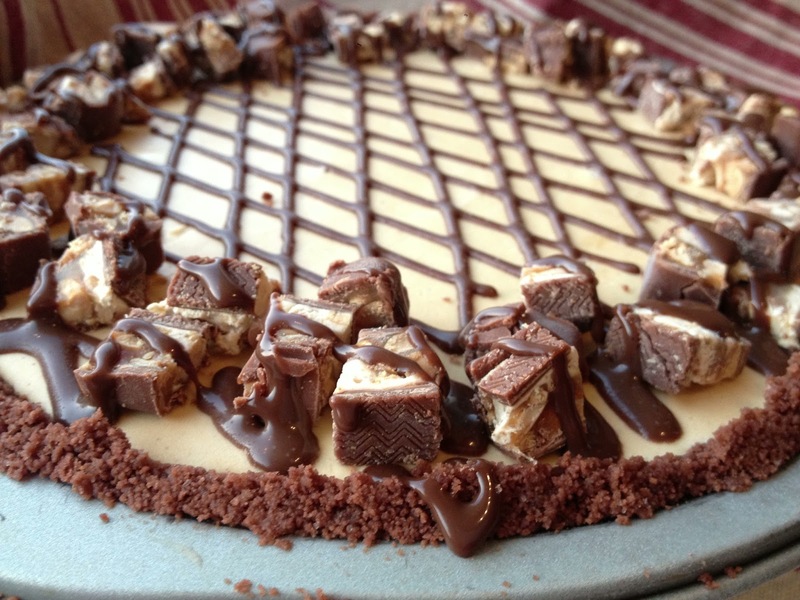 Now spread the Snickers out into the crust, and then chop some peanuts and sprinkle them around the chopped Snickers bars. 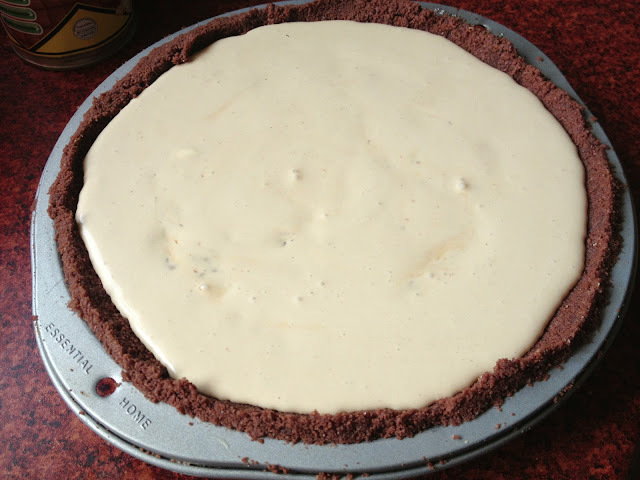 Put the crust filled with goodies over to one side as we make the ice cream filling. But make sure your three year old can't reach it. Just sayin'. Now we need some caramel. 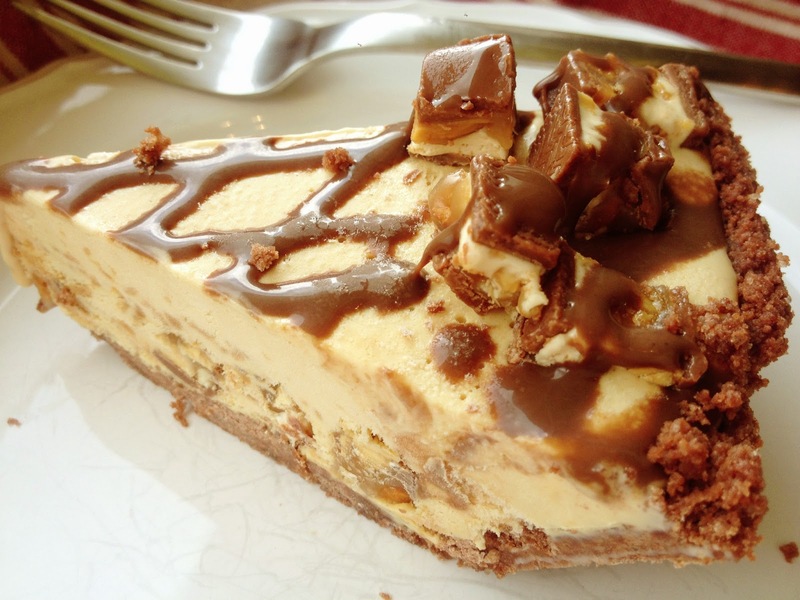 If you have the regular caramel ice-cream topping stuff, that'll work just fine. I did not have any on hand, but I did have some of this stuff. Anyway. So here is my mixing bowl with a big scoop of caramel-stuff and a big scoop of peanut butter. Not shown here is that I mixed in about a quarter cup of milk since the caramel stuff is so thick. 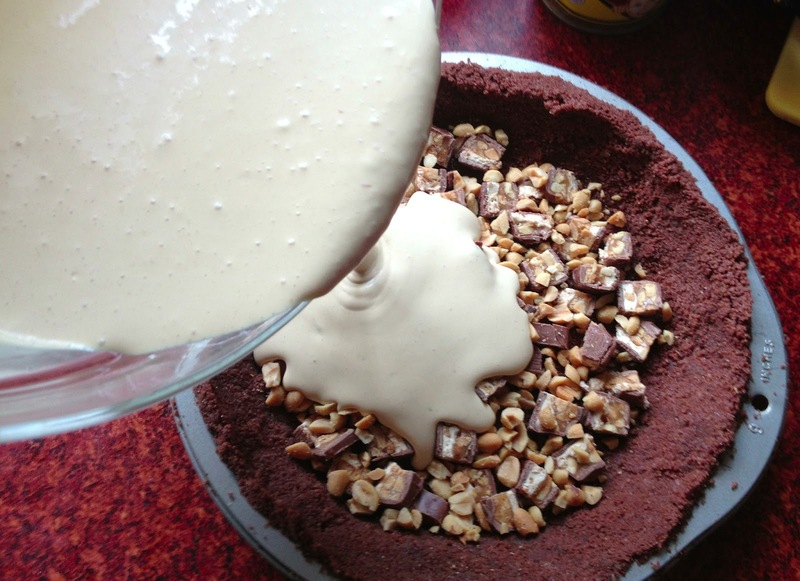 If you are using the ice-cream topping kind of stuff, you probably don't need the milk. Now grab your nice, soft vanilla ice cream. Mine was close to being completely melted -- you don't have to be like me. Really soft is good enough. Melted might have gone too far. 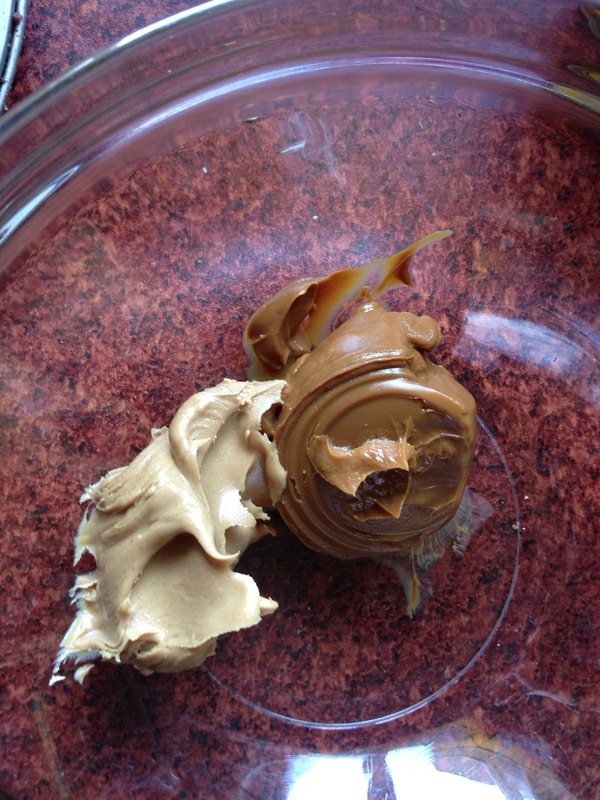 You just need it soft enough to mix in your peanut-butter-caramelly stuff. Hey, look, I had some things going on, important things that I was doing, you know. It's not like I just got sidetracked in the middle of a recipe and let my ice cream completely melt or anything. Sheesh. Now just pour that goodness right on top of the other goodness. Now you stick this in the freezer. Careful not to spill, if you had really important things to do and your ice cream accidentally melted all the way. 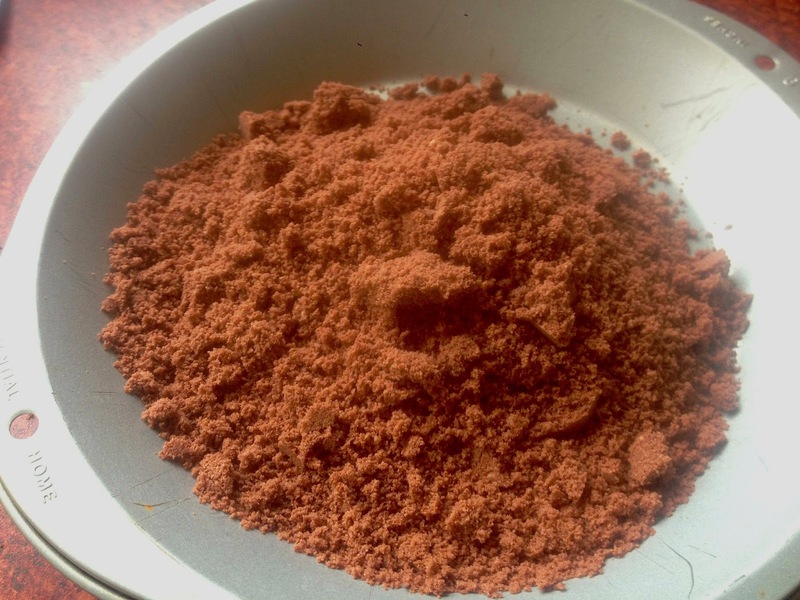 You can use plain old melted chocolate, or you can use whatever chocolate saucy type stuff you have around. Warning though -- if it's a more runny type, like chocolate syrup from a squeeze bottle, any design you make will just spread and look kind of messy. If you are going with a syrup, maybe just drizzle it over the pieces of pie after they are cut, right when you're serving it. Set out the ice cream to soften. Mix the crumbs, melted butter, and sugar with a fork in a pie pan until all crumbs are moistened. Press into the bottom and sides of the pan. Sprinkle half of the chopped Snickers, plus all of the peanuts into the crust. 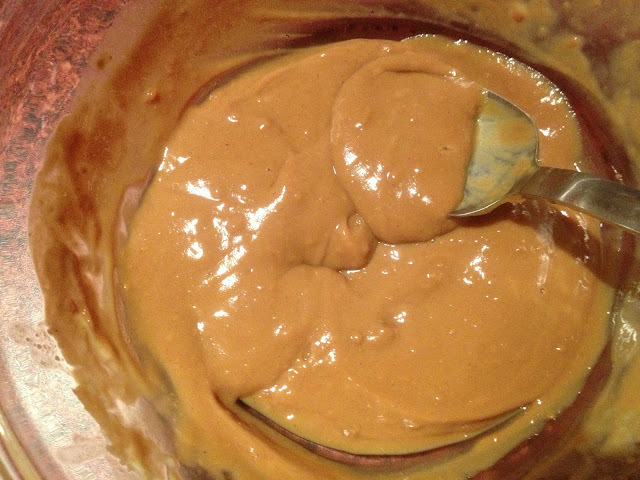 Now, in a mixing bowl, take the peanut butter and the caramel sauce, and microwave until soft enough to mix thoroughly. (If you are using the really thick stuff -- the boiled sweetened condensed milk -- then also stir in 1/4 cup milk to thin the mixture down). Stir together til smooth. 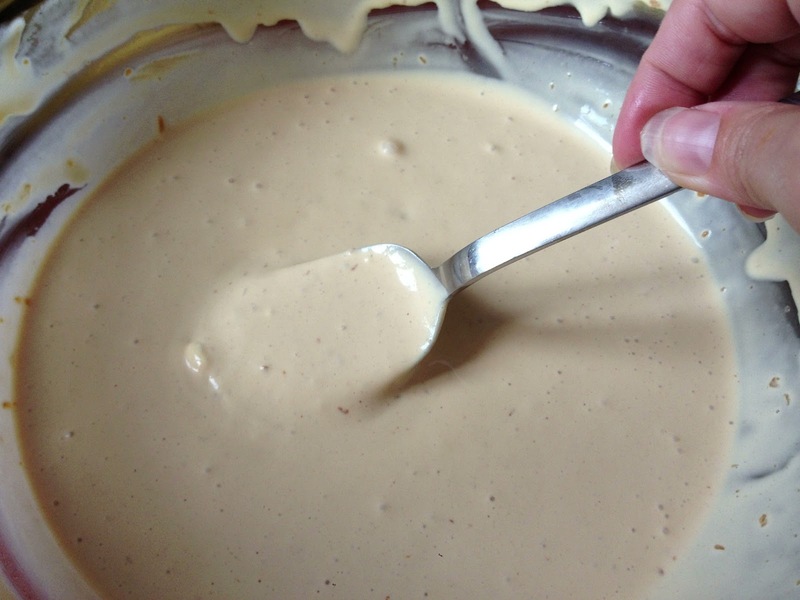 Mix the softened ice cream into the peanut butter mixture. Pour into the crust. Freeze for a couple of hours, until ice cream is firm. Use the rest of the chopped Snickers and the chocolate sauce on top of the pie. Put back in the freezer until you are ready to serve.